VIPAccessEXCLUSIVE: Alexisjoyvipaccess Covers The Inspiring And Marvelous Mattel Party On The Pier! RECAP Here! Imagine setting foot onto the iconic Santa Monica Pier on a beautiful, sunny day and seeing the roller coaster and rides right in front welcoming you to what will be a spectacular day. Well, that is exactly what happened at this year (and every single year’s) Mattel Party on the Pier event. 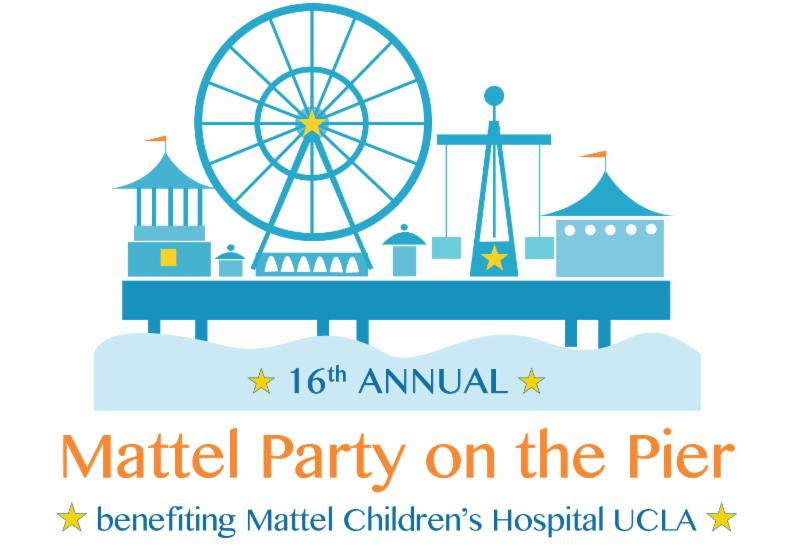 On September 27, 2015, Mattel brought together many of your favorite celebrities, fun activities, a silent auction and a lot more exciting events at their annual Mattel Party on the Pier event. All proceeds from the event goes towards supporting the Mattel Children’s Hospital UCLA. At the event, attendees were able to get up close and personal with some of their favorite celebrities. Stars from some of your favorite TV shows, musicians and more attended the event including Paris Smith, Isabela Moner, Brady Reiter, Jaheem Toombs, Haley Tju, Coy Stewart, Lauren Taylor, Benjamin and Matthew Royer, Marcus Scribner, Francesca Capaldi, Forrest Wheeler, August Maturo, Corey Fogelmanis, Peyton Meyer, Sean Ryan Fox, Trinitee Stokes, Olivia Stuck, Paris Berelc, Tiffany Espensen, Connor Kalopsis, Megan Nicole, Jordyn Jones, Sarah Michelle Geller and more! Talk about one star-studded list with everyone showing their support to such an inspiring and phenomenal event. More excitement happened inside the event as attendees were able to engage in a silent auction with items ranging from concert tickets to one of Jennifer Lopez’s shows to Dodger dugout seats and more. In addition, director David Silverman was honored with the “Doctor of Joy” lab-coat at the event for his amazing efforts in bringing smiles to children’s faces with his excellent and superb works including episodes from “The Simpsons” and “The Simpsons Movie”. I, Alexisjoyvipaccess had the utmost and greatest honor of covering the awe-inspiring and marvelous Mattel Party on the Pier event again and had a great time interviewing some of your favorite celebrities on the blue carpet which can be seen on YouTube.com/alexisjoyvipaccess! Check out some VIPAccessEXCLUSIVE pictures I took during my coverage of the event below. The Mattel Party on the Pier event is one event that gets more and more incredible each year. An extraordinary event for an extraordinary cause – what could be better? This event is a great event to go to and show your support while also having a stupendous time. Perfect for families to attend together or people to go to with their friends, the Mattel Party on the Pier is an event you truly do not want to miss out on! Thank you for having me at the event, Mattel Party on the Pier! Previous VIPAccessEXCLUSIVE: Nathan Kress Exclusive Interview With Alexisjoyvipaccess At Mattel’s Party On The Pier! Next Article: Daniela Nieves Hosts “Halloween On Ice: Behind The Screams” – Tune In To The Encore On 10/25!